A draft plan marked “confidential” is being circulated around Washington. No one from the Trump administration has confirmed to NPR that the draft is an official document. 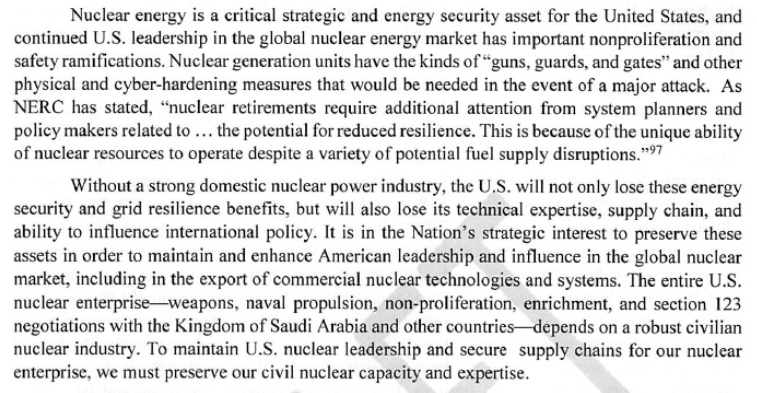 I saw a news story today that described the Trump administration’s possible intervention in energy markets as “unprecedented.” That can only provoke hollow laughter. In recent years, plummeting natural gas prices have made natural gas-fired power plants the most economic alternative. That is a good thing, obviously. But there is a down side: such plants rely on “just in time” gas delivery, through an enormous network of pipelines that are inherently vulnerable to sabotage by terrorists or foreign enemies. 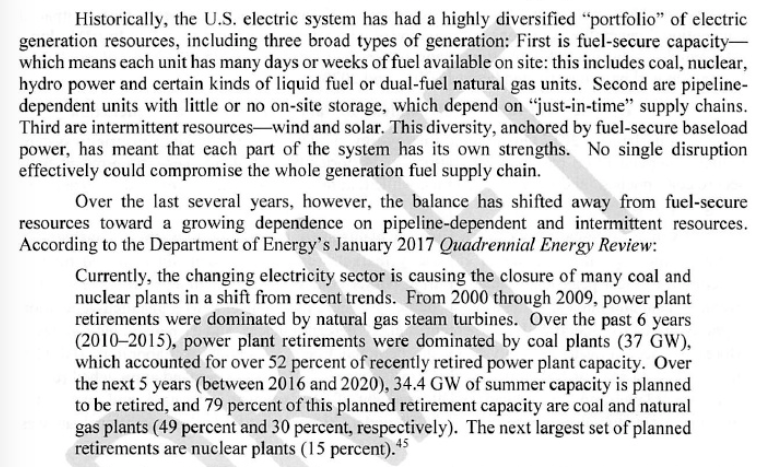 Meanwhile, the renewable energy sources, wind and solar, are also growing, solely as a result of government mandates and subsidies. Because they are intermittent and unpredictable, they contribute little or nothing to a reliable energy grid. The memo implies, but does not directly state, that government policies mandating and subsidizing “green” energy have not only hurt consumers by raising electricity prices, but may threaten the stability of the nation’s power grid. This is a big topic that one cannot do justice to in a single post. It is highly unlikely that you will encounter a balanced assessment of the leaked memo in the “mainstream” media. The best you can do is read it for yourself. The policy urged by the memo, and perhaps to be adopted by the Trump administration, may or may not be the best path forward. But it is certainly not dumb, or a mere political payoff, as the liberal press is portraying it.